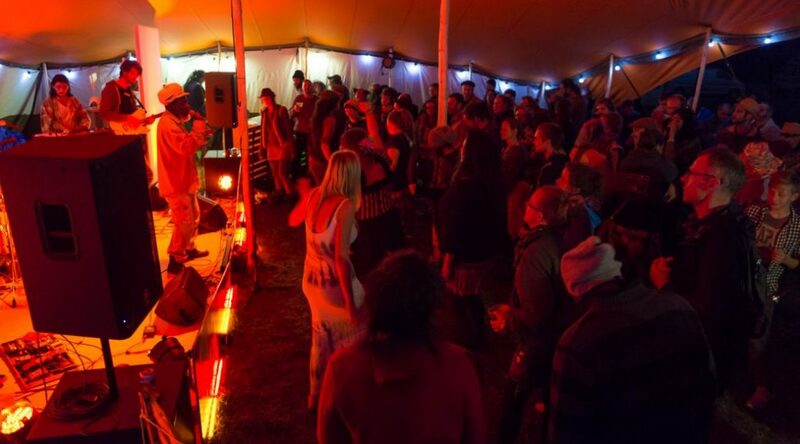 Our solar powered stage uses a state of the art efficient PA system coupled with an all LED lighting rig and industry standard off-grid solar equipment. Completely powered from the sun via the Green Dragon Solar Generator. The solar generator is also running the site lighting, blenders for the kitchen and the projectors in the workshop spaces. 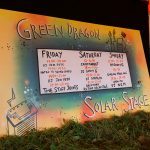 Full specs of the stage on the Green Dragon website.